Few things are more aversive to dog trainers than a dog that isn’t interested in the training. Sniffing, finding treats on the floor, running away to check something out, staring into space, or taking off to say hi to another person, are all dog behaviors that really stress people out in a training setting. Because they are so aversive, the trainer often finds strategies to stop them from happening. Often, the plan is something like this: Make sure that the dog is not able to find reinforcement anywhere else – pick upp all treats on the floor (and be very upset with other people that leave crumbs) and put a leash on the dog – and get the dogs attention back as soon as he looks away or stops working. Does it work? Well, it does work for the moment. The trainer might experience fewer aversive moments of a dog that leaves training to do other things. But it does not offer a long term solution. In my experience, it often makes the problem worse. Desperately trying to keep the dog away from distractions often makes the dog want them more. This is something that we often take advantage of when we want to make the dog crazy about rewards. 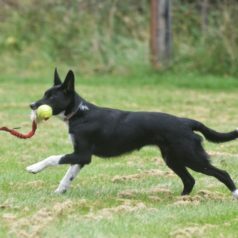 Restraining the dog and letting them “steal” rewards often makes the reward much more attractive than it would be if the dog easily could get the reward. This is what happens when we desperately try to make sure that the dog doesn’t find treats on the ground, or doesn’t run away to greet another person. The dog will also be successful in getting to the reward sometimes (but not every time), which also makes the behavior stronger. Getting the dog’s attention back as soon as he looks away or looks like he might want to leave training to do something else is also a strategy that will backfire. It feels good in the moment to prevent the dog from doing something we don’t like, but what happens in reality is that we reinforce behaviors that we don’t like with attention and action. It is not uncommon for dogs to get much more attention when they do something we don’t like (sniffing, looking away) than they get when they do something we do like. 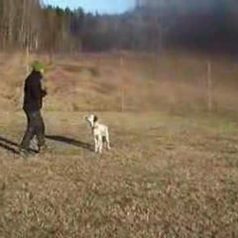 In addition, the dog learns that he doesn’t have to take responsibility for keeping focused in training. The handler will always tell him when he should come back and work. What should you do instead? This is of course a huge question and depends on a lot of factors, so my answer will be very general. 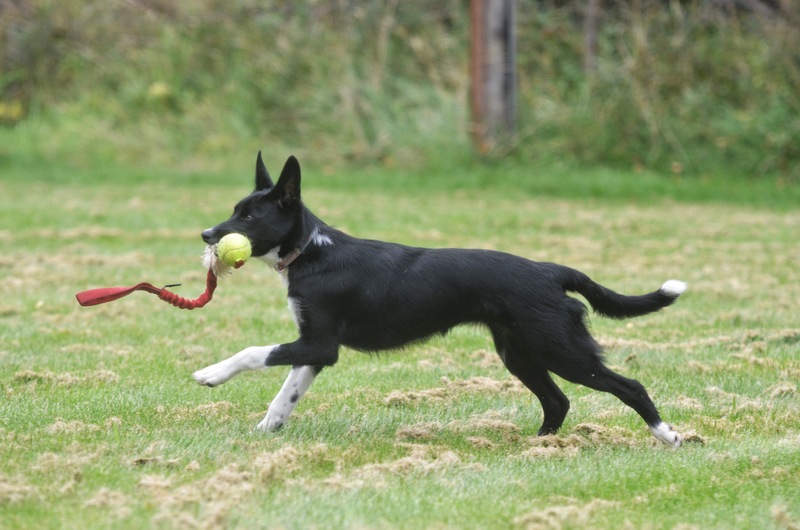 Here are a few things to consider if your dog isn’t totally focused in training. They really work! Quality of reward. It’s so simple, but sometimes you just need better rewards. 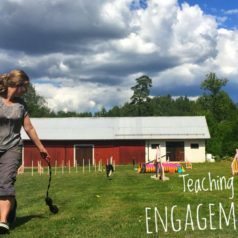 Not just tastier treats or fluffier toys – you might have to be more engaged in the reward procedure. Praise your dog, play with the food. Let him know that you’re happy with his work. 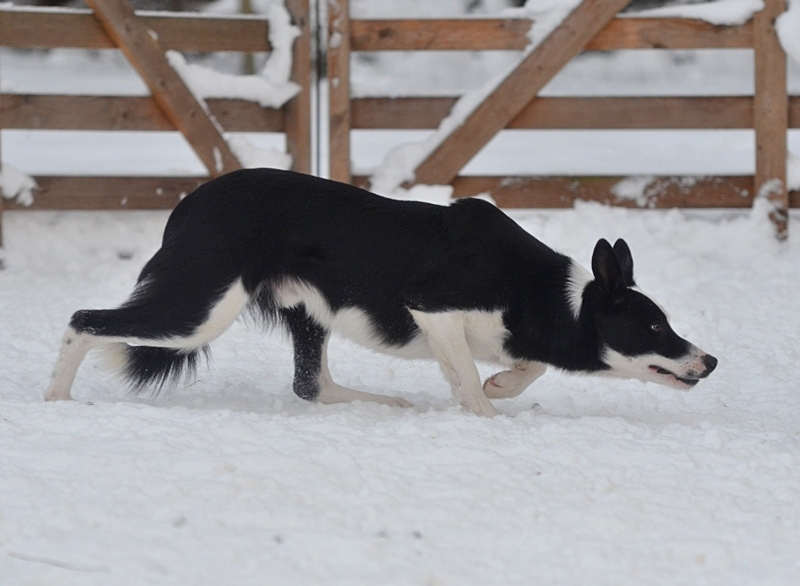 Don’t just stuff rewards in the dogs face – drag toys away on the floor for a game of chase, and let the dog come to you to chase his food instead of walking to him to feed him. 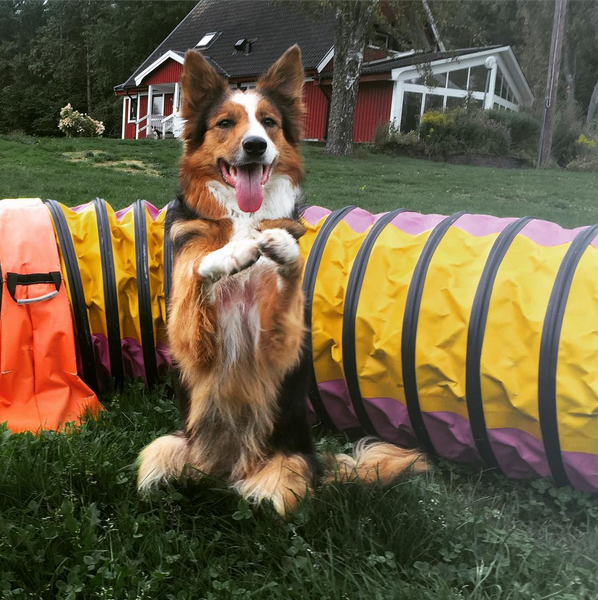 Your dog should look happy when you reward. Reward behaviors that you like. Reward behaviors that you want to see more of, like attention to you. Don’t take it for granted. Even if you planned to train something more difficult, you can always reward for more simple behaviors like just staying with you or looking back quickly when there is a distraction. This also means: Don’t reward behaviors that you don’t like. If you give your dog more attention and try to be more fun when he is looking away, you are reinforcing the behaviors that you don’t want. Try to be neutral between rewards. Make sure the dog does something you like before you burst out with praise and fun. Training is a bit like acting – you need to quickly be able to switch between roles. One second you’re neutral (even looking very strict if you’re training for competition) and the next second you’re the most happy person in the world. Then you go back to neutral and repeat. Plan your sessions well. This is probably the most important point. Most dogs get distracted and engage in other things because we’re not well organised and focused. We often require much more from our dogs than from ourselves. Keep your sessions short (3 minutes is more than enough if you’re really focused) and make sure that you’re focused on training all the time. There should never be anything other than response or reward in the session. Either you’re focused on the dog, waiting for a response to reward, or you’re rewarding your dog. Nothing else. No just walking from one place to another, no talking to your friends, no trying to get more food from a plastic bag deep in your pocket. Plan so that you can transport while rewarding, take a break when you need to talk to a friend, have your treats readily available and play with your dog when you need to get food from your pocket. Set a timer if you tend to train for too long. Work on your mechanical skills so that you get more efficient. Evaluate your sessions (video analysis is great!) to see if you can do things in a better way. Training should be fun – not you. A common advice given to owners with dogs that are not focused, is that the trainer needs to be more “fun”. I think this is the reason why many try to lure the dog back by being “fun”. You should not be “fun”. Rewards should be fun (and of course, you are a part of the reward), and training should be fun. Fun happens with good sessions and good rewards, not with an owner that tries to look like a clown all the time. I think a lot of dogs get nervous when the owner suddenly tries to be “fun”. They will try to calm their owner down by sniffing, looking away and moving slowly (and then the trainer tries to be even more fun…). Be prepared to change your criteria. 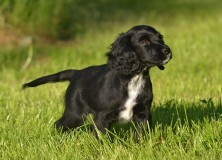 Sometimes I plan to train one thing, but when I get my dog out I realise that he is not at all ready to work on that. This especially happens in new and distracting environments. If that happens, I immediately change my plan and work on attention and engagement first. I might just play with the dog. If the dog isn’t ready to engage fully in play with me, I know that he isn’t ready for something more difficult. Or I might click for attention and reward by throwing a treat on the ground and then just wait for the dog to look back at me. When he does, I click and toss another treat. When he looks back at me within a couple of seconds after eating the treat, I know that he is ready for something slightly more challenging. I always try to keep a very open mind in my first session in a new place. I try to plan only play and rewards for attention and engagement. A short and fun session to set the tone for the sessions to come. 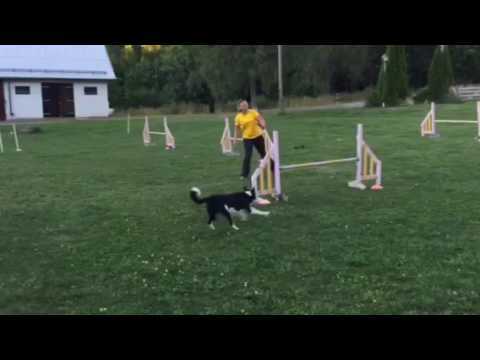 To make sure that my rewards are rewarding and that my dog is ready to work with me. Don’t pressure the dog. As positive trainers, we’re often unaware of the pressure we can put on a dog when we expect them to do something. 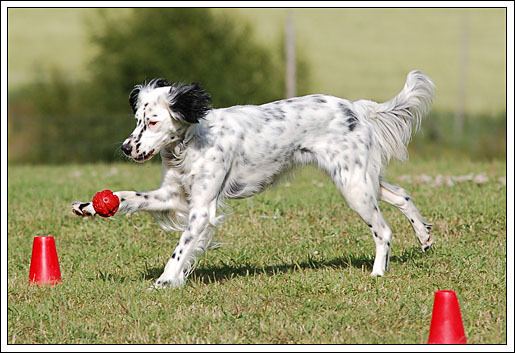 Our behavior can be put a lot of pressure on the dog even if there is no obvious aversive in play. 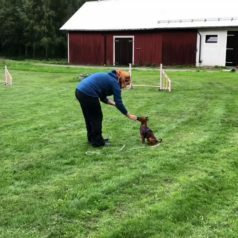 When the dog feels pressured, he might not feel relaxed and happy in the training situation, and he will try to find other things to do to calm himself – or you – down. The pressure often comes from our expectations. I try to not expect anything when I train my dogs. I don’t expect them to want to train with me – I make sure I make it worthwhile for them to do so. I don’t expect them to offer behaviors – I observe them and reinforce behaviors that I like. I don’t take it personally if they leave me, get frustrated or just do nothing. Don’t be afraid of distractions. Some distractions are really hard. You might need to work specifically on them and gradually decrease distance to the distractions. 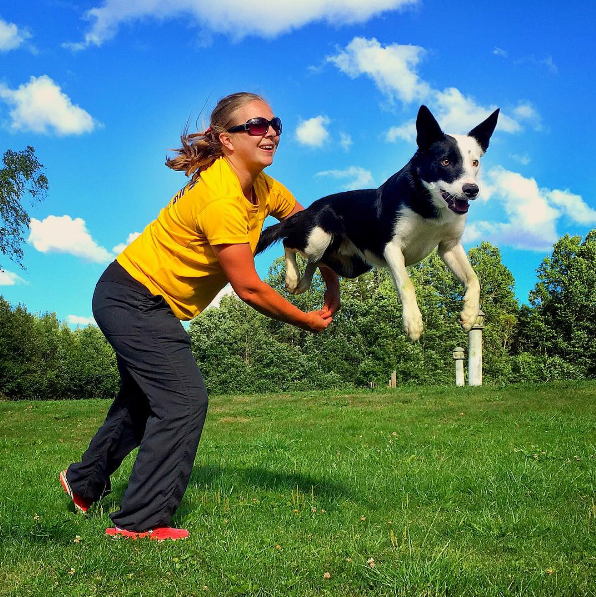 Most things that dogs get distracted by are not distractions any more if you change your training and make it more efficient and rewarding for the dog. During the ten years of professional dog training that I have done, I’ve met a handful of dogs that were so distracted by for example sniffing that it has been necessary to work specifically on that. 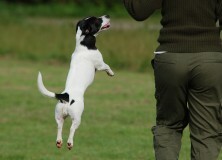 Many of the things that we consider “self rewarding” is rewarding to the dog because of our training. When I trained English Setter Pi, I was convinced that looking at small birds and checking out what was happening in a distance was reinforcing to her because of her breed and age. Therefore, I interrupted the behavior with her name, a command or just taking her the other way with the leash. She would come back to work, but she would not stop her checking out until I decided to just wait her out and reward coming back to me instead. I had taught her that she could look at other things and I would always tell her when she should come back to work. Once I stopped interrupting this “self reinforcing” behavior and gave her the responsibility to start me up instead, the behavior extinguished. If your dog is so interested in small, dry crumbs of food on the ground that he choses that before your training, it might be necessary to look at why that is. Your training should definitely be more fun than sniffing for food (or other smells) on the floor. 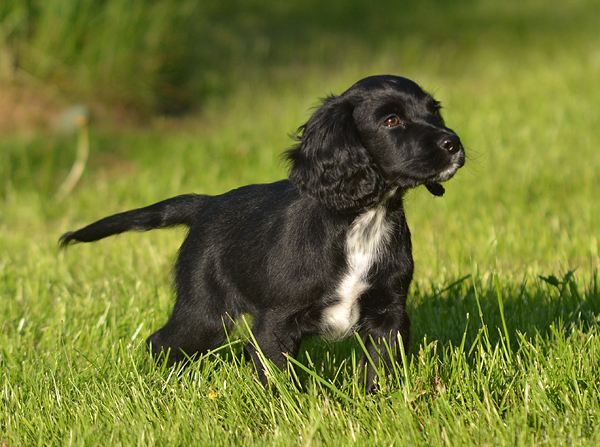 With good rewards, well planned training and a high rate of reinforcement, the choice should be easy! So ask yourself – why is this not the case? Look at all the points above and see where you can improve. So… Have fun training. Make it fun and rewarding for your dog. Don’t expect anything from him. Plan your sessions well. Relax. Don’t take it personally. Laugh. Play. Think. Plan. Good luck!